Why is laser engraving rising in popularity? 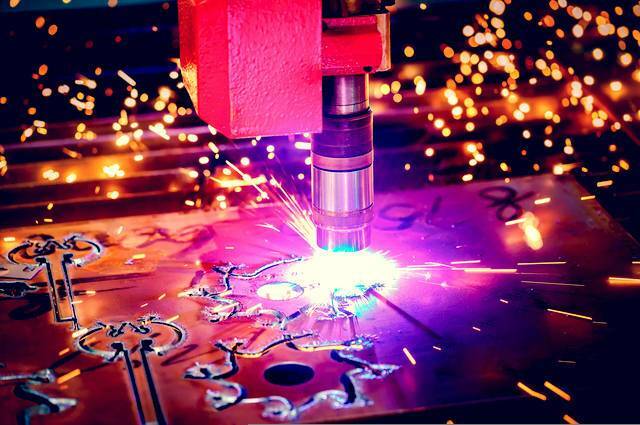 Sparks will fly: laser engraving is more the norm instead of the exception. Image by Andrey Armyagov (via Shutterstock). Laser engraving: we at Able Engraving and Design swear by this method. For many materials and applications, it has moved from a flight of fancy to a necessity. How? Firstly, the affordability of personal computers. This, and any interface with a laser etching machine, allows for a greater variety of designs. Here’s our look at why laser engraved plaques and other objects have risen in popularity. In addition to personal computers, laser engraving machines are more affordable for SME sector businesses. If you go to some shopping centres, you might find a number of stalls en route to the bigger shops. One of them might offer laser etching services, as part of a key cutting and key fob business. Laser engraving is versatile enough for several materials. Not only bronze, steel, silver, and aluminium. Also wood and plastic. It is also suitable for die cutting. Laser engraving is flexible enough for etching with the broadest and finest of nibs. It comes into its own with meticulous work – especially fine hatchings, lettering, and reproducing photographic images. With the wonders of technology, laser engraving can sit alongside computer systems and CNC machinery. Computers can be used to digitise the corporate logo or other graphics onto, for example, a plaque or trophy. Similarly, this allows for the addition of industry standard typefaces – whether Helvetica Bold or Comic Sans MS. Being able to add your own logo or graphics is easier than ever thanks to laser engraving. Gone are the days when graphical and typographical choices were more limited. All of the above explains why Able Engraving love laser etching methods. As we realise that customers favour other methods too, we do not put our eggs in one basket. Able Engraving and Design, 07 July 2017. This entry was posted in Able News on 7th July 2017 by admin.